On July 18, 2017, from 13.00 to 16.00 in the office of the Ukrainian Parliament Commissioner for Human Rights at the address 21/8 Institutska Str., Kyiv, the co-organizers of “Dumaidan-2017” will award winners of the Ukraine-wide School and University Students’ Essays Competition “Ways of Understanding.” The Competition against discrimination and hate speech was held within the framework of the annual project “Dumaidan-2017: Getting Together around the Tent of Understanding”. 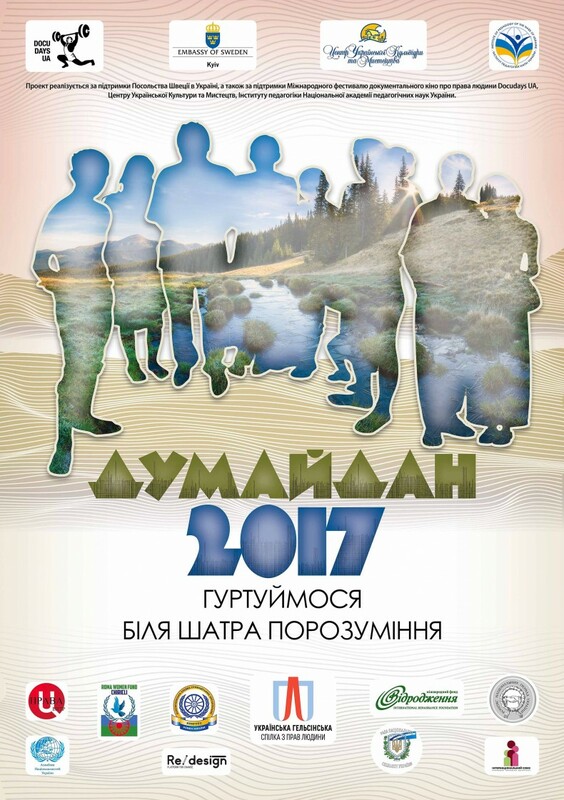 This year’s project “Dumaidan-2017: Getting Together around the Tent of Understanding” is devoted to the topic of finding ways of understanding between people from different ethnic groups and cultural traditions. “Dumaidan” is an expert discussion project on a given topic, which takes place in different regions of Ukraine during 2017. At the events, there will be expert and public discussions on tolerance, overcoming stereotypes and reducing the social distance between people from different ethnic groups. Within the framework of the planned events, “Dumaidan” unites all those who wish to join around the topic of understanding. The event will take place within the framework of the Charles Mott Foundation’s “Right to Participate” project, being implemented by the Ukrainian Helsinki Human Rights Union, with the financial support of the International Renaissance Foundation, as well as with the assistance of the Ukrainian Parliament Commissioner for Human Rights.